Success! Your message has been sent. We read all incoming emails and respond as soon as possible. 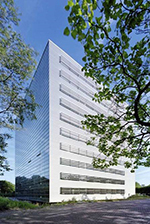 Our main office is located in the Netherlands, on the campus of the Radboud University in Nijmegen. You can reach us by email, phone, or regular mail. If you would like to talk to someone in English, please send us an email with your phone number and we will call you. Written correspondence may be sent in English, Dutch, Spanish, or German. Our answer will be given in the corresponding language or in English. Please be advised that business operating hours are conducted in Amsterdam Central European Time.